DoCmd.TransferSpreadsheet acExport, acSpreadsheetTypeExcel9, "Skids", i "c:\skids.xls"
This code is all you need to export the Skids table to a spreadsheet called skids.xls to the C drive. This method enables you to export both tables and queries stored in your database. Another advantage to the method is that you don't actually invoke the Excel object model, which requires more code and more overhead, as Excel is loaded into memory. 'Default Location strFilePath = "C:\skids.xlsx"
'Show the dialog and if the dialog returns 'True, then create the new Spreadsheet If .Show = True Then 'The user clicked "Save"
In this code, the Application.FileDialog object is chosen by passing the enumeration option corresponding to the desired dialog type. For the File Dialog, the Title and Button text, set the desired strings to the Title and ButtonName properties of the FileDialog object. Additionally, for the default filename and folder path as well as the selection model for the dialog box are set by specifying the desired settings to the InitialFileName and AllowMultiSelect properties. Custom the Filters can be created by calling the Add method on the Filters object and passing the filter string. Finally, the Show method is called to show the dialog box to the user, which returns true if the user clicks the action button for the dialog box (in our case named Save As); otherwise, false is returned if the user chooses Cancel or the Close button on the dialog box. The Show method can be wrapped in an If statement to provide some feedback to the user, should they decide not to save the file. One other consideration when using the TransferSpreadsheet method is that you do not have the capability to manipulate the look and feel of the spreadsheet when it is created. The new worksheet will be a plain table without any formatting but, fortunately, it will contain column headers. You'll need to decide whether your project requires the formatting and flexibility of the first method or the ease of use of the second method. 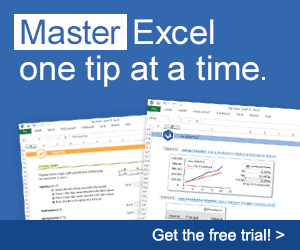 Both work equally well for their basic task, transferring data between Access and Excel. Can transferspreadsheet create a new spreadsheet? How to use transferspreadsheet to create title? Is transfer spreadsheet vba work for form access?